Wow! 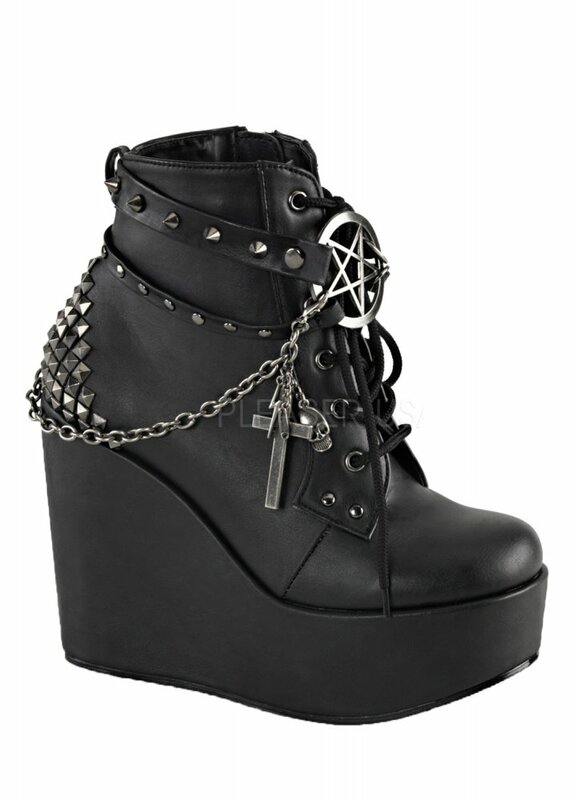 The Poison 101 Wedge Boot by Demonia has some serious style! These badass ankle boots have studded straps with a silver pentagram centre, chains with gothic charms including crosses and skulls, and are studded on the back.